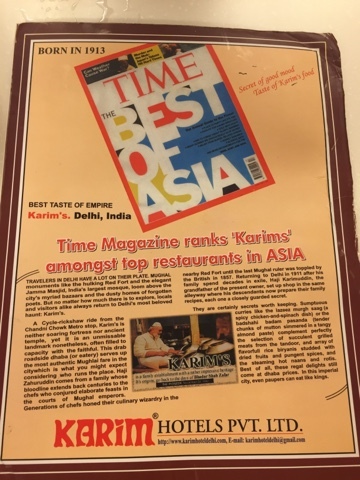 With Ramadan mood in the air, I decided this was a good time to visit Jama Masjid and also experience the food at the legedary Hotel Karim there .Hotel Karim was once ranked among the "top hotels in Asia " by the Time magazine ! 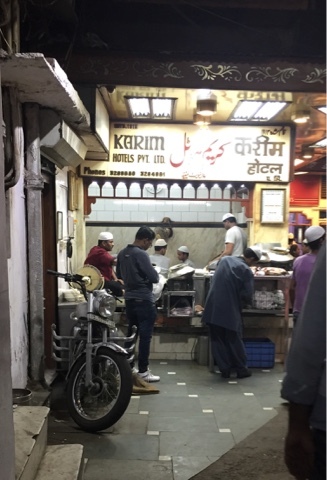 Even if you have never been there , you can ask anyone and you will be lead to this small nook in Matia Mahal locality , where this Hotel is situated ,near the largest Mosque of India - The Jama Masjid in Delhi . It turned out that it was not such a great idea to be there around Ramadan because the place was teeming with crowds and we had to wait for about 20 minutes to get a seat . 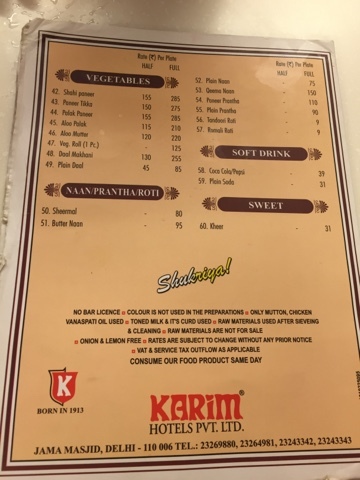 The place is clean and devoid of any trimmings (typical to muslim run hotels ).It has no fuss plastic dishes and basic seating arrangements .No alcohol is served . Once seated we placed our order and I was amazed that the waiter did not note anything down , he just penned it to memory and we were served within another 15 minutes .The people sitting at the table next to us were not so lucky and had to keep munching on raw onion rings for about half an hour and after that they were told that the chicken biryani that they had ordered was no more available as they had run out of it ! 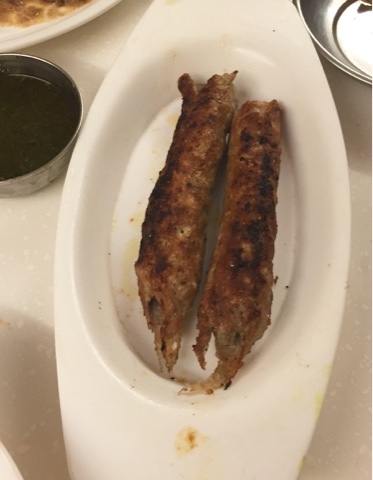 The daughter had ordered a Chicken Seekh Kebab with Roomali roti .The roti was paper thin and warm and the kebabs were soft and flavorful .The demand for the food is so high that the food is presented without any garnish .The only accompaniments are a plate of onion rings and slices of lemoon with a green watery chutney . 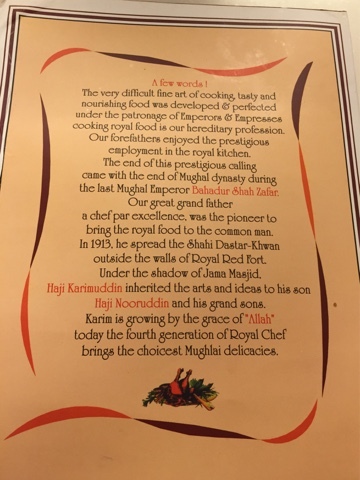 The main course consisted of Chicken Curry,Mughlai Chicken,Makhani Dal,Naans(flat breads of fermented flour ) and Roomali rotis .They do not have any Raita or salad on their menu ! 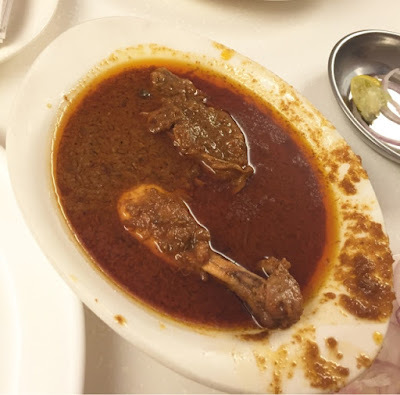 The pool of oil swimming on the top was a deterrent to the fitness conscious but it was full of spices and the chicken was well done. 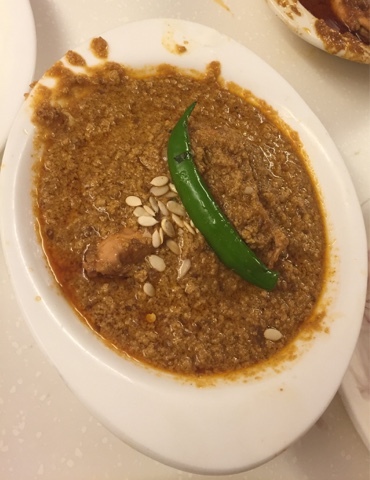 The Mughai Chicken was a gentler curry with moderate spices and my son loved this preparation a lot . 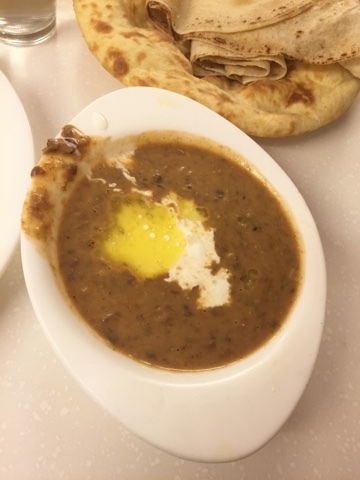 I settled for Dal makhani and was quite happy with it .The Dal was slowly cooked and very lightly spiced and the makhan (butter) was definitely a rich add on worth the calories . 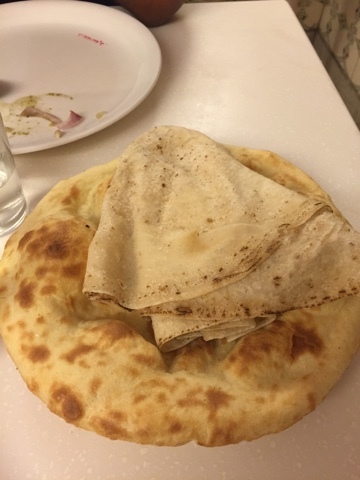 The expereince would have been a good one over all , had the waiter not forgotten to serve us in between.We had to wait on and on and only after 15 minutes and constant reminding could we get the second round of naans that we had ordered . 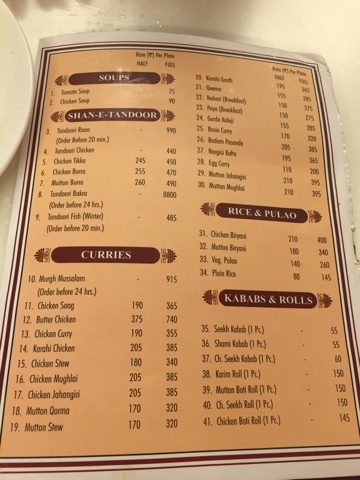 The Bill - For such a big name they do not generate a computerised bill and no taxes were added , our total bill came to under Rs 1000 only including tips (which the service did not deserve but being the holy month the husband insisted on paying some tips) . 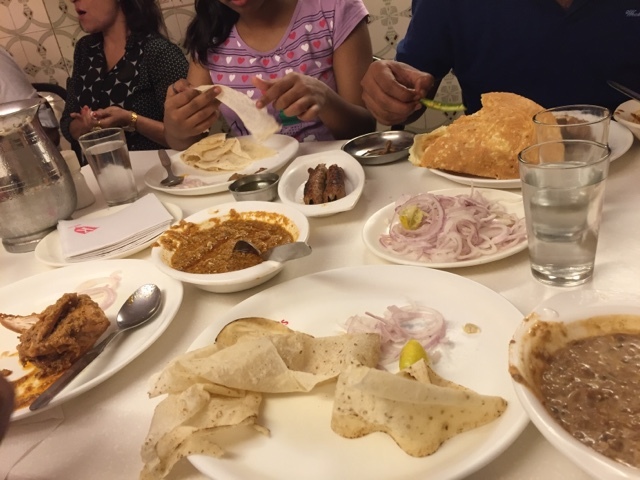 FINAL VERDICT - I rate it a 3.5/5 .The food was definitely above average but nothing outstanding except for the freshness of the meat and prices.Also the service left much to be desired .I have had better fare elsewhere. I had been there once and though its famous round the world it is nothing fancy, but the food was good so everything else was forgiven. I agree with you Anupam . The food does not stand up to the hype .